GopherCentral Library: Is this a bird or a toddler? 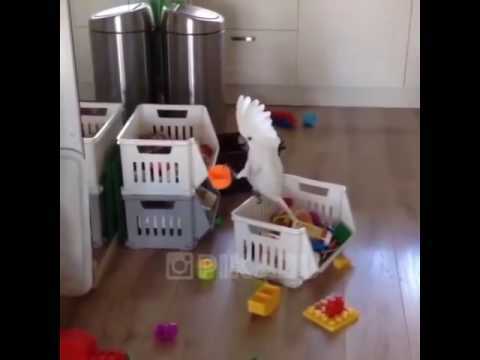 Is this a bird or a toddler? Finally, a hilarious bird video I can share with all of you! Harley The Cockatoo has quite the following on YouTube and someone was kind enough to compile some of his best moments. I've already re-watched this video a few times, it's that good! Especially when Harley screams into the cup. I have not met many cockatoos but I'd love to meet this little guy. He's entertaining, cute and goofy. Take a minute to watch Harley The Cockatoo, he's super funny! This silly cockatoo has no shame! 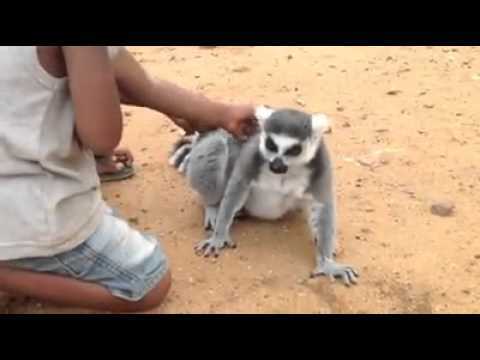 Wild lemur gets pampered with free back scratches daily.